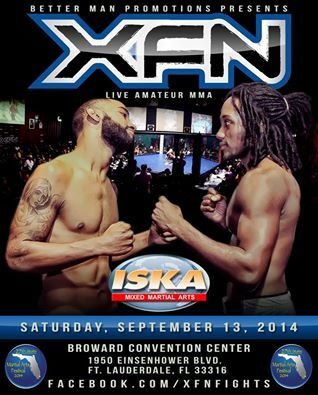 Tonight we are live at XFN 13 at the Broward County Convention Center, In lovely Ft. Lauderdale Florida checking out the best Amateur fighters Florida has to offer. We are sure a future MMA star will be competing tonight follow us through the night to find out who that may be as we give you live updates. Rnd. 1 Sagraves submits Torres by armbar at 2:03 in the 1st round. This is a grudge match between 2 guys that go to the same gym. But have bad blood. 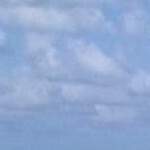 Rnd. 1 Trinidad comes out strong. They battled back and forth for control in the clinch ending with a big throw from Trinidad. Rnd 2 – Roberts COmes out strong with a takedown annd works the clinch. Rnd 3 – They spent half the second round against the cage battling for control. No real significant strikes and no takedowns. Rnd 2 Baeza comes out strong and controls the whole round. Round Baeza. Rnd 1 Armoyam catches Samuels with a knee and KO’s him early in the 1st just wait untilyou see this KO!